Including all four previously published volumes. With a foreword by Iain McGilchrist. Middle Way Philosophy is not about compromise, but about the avoidance of dogma and the integration of conflicting assumptions. To rely on experience as our guide, we need to avoid the interpretation of experience through unnecessary dogmas. Drawing on a range of influences in Buddhist practice, Western philosophy and psychology, Middle Way Philosophy questions alike the assumptions of scientific naturalism, religious revelation and political absolutism, trying to separate what addresses experience in these doctrines from what is merely assumed. 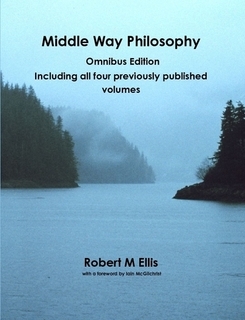 This Omnibus edition of Middle Way Philosophy includes all four of the volumes previously published separately: 1. The Path of Objectivity, 2. The Integration of Desire, 3. The Integration of Meaning, and 4. The Integration of Belief.